Since March 2002, to May 2010, Condor 10 provided a daily service to Jersey and Guernesey, for cars and passengers. Condor 10 remplaced Condor 9 which was limited to passenger traffic. Condor 10 had already been on this route in 1993 and 1994. It can carry 600 passengers and 85 cars. Condor 10 was replaced in May 2010 by the larger Condor Rapide, and was put on sold. She sails in 2015 as Hanil Blue Narae under South Korean flag for Hanil Express. She links Wando to Jeju. 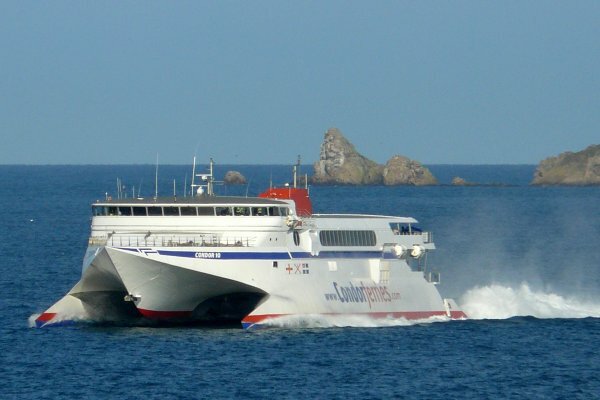 Condor 10 was build for Condor Ferries in 1993 by INCAT (Hobart - Tasmania).